Construction began on the SPRINGFIELD MASONIC CENTER in October 1924 and was dedicated in January 1927. Designed by Architect Howard Dwight Smith from Ohio State University this Historic structure was placed on the National Registry of Historic Places in December 2008. The Center has had few changes since its construction and retains its 1920’s style and ambience. This Neo-Classical building has the ability to seat 350 guests for a Wedding and Wedding Reception. 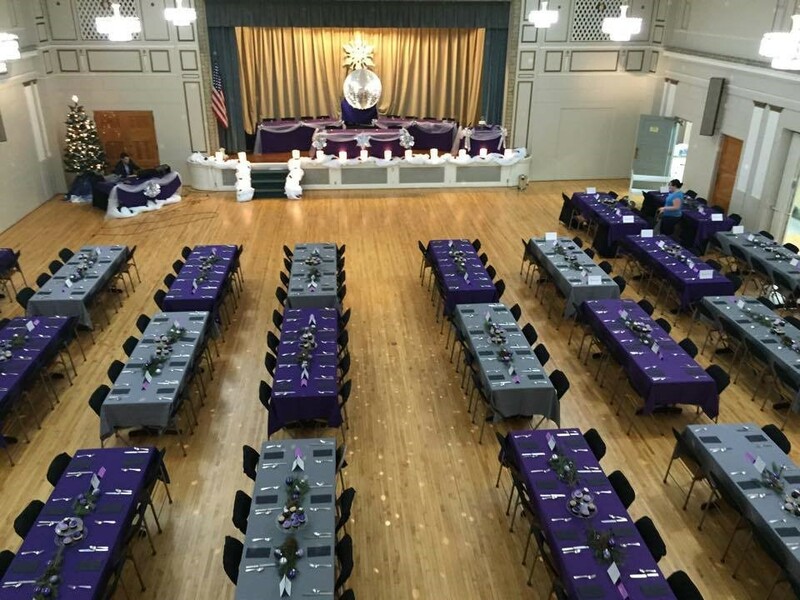 The main floor ballroom with its hardwood floor has access to a catering kitchen that will allow your chosen catering company to provide swift and efficient food service. The ball room will still have enough room for your DJ or band to entertain your guest and be a huge part of your event. The Center can also provide you with a good location in Springfield’s downtown area for your meeting or conference. We can provide audio-visual equipment for presentations and training sessions. A wide variety of local caterers can provide breakfast or lunch for your group. We can provide space for small groups training sessions, office staff meetings in a board room setting as well as very large event space for recognition dinners or entire company informational meetings. We are available for meetings of 1 hour to all day if needed.